If you thought all you needed to be a firefighter was an axe and a powerful firehose, think again. Many firefighters spend four years studying subjects like nuclear power, combustion, oil explosions and other dangerously cool stuff in the fire science major. With behind-the-scenes knowledge of how fire spreads, you’ll learn way more than how to be a badass. Read on to find out if you have what it takes to tame the flame in the fire science major. Although this seems like the ultimate “action” job, you need to have a ton of knowledge before you can rescue three kids from a house fire. You will assemble fire hoses, work pressure gauges and man the wheel of the fire engine. You will understand safety protocols like the back of your hand because your life literally depends on it. So you may want to take extra good notes in class. Firefighters obviously extinguish fires, but they also study ways to prevent future fires. You will engage in a mix of classroom learning and field training. Get ready to lock in the fundamentals of fire extinguishment basics, EMT basics, fire codes and laws to name a few. Oh yeah, and you’ll be thrown in with the pre-meds in general chemistry. “The fire science major prepares students for senior management positions in fire and EMS departments,” said Lawrence Bennett, Program Chair at University of Cincinnati Fire Science and Emergency Management Program. During field training, fire science students work alongside professional firefighters to fight actual fires. Don’t worry, the fires are controlled during field training. For those of you who hate desk jobs with all your being, you’ve come to the right place. Instead of typing your fingers to the bone in an office you’ll be out in the field learning the ropes of fire safety. 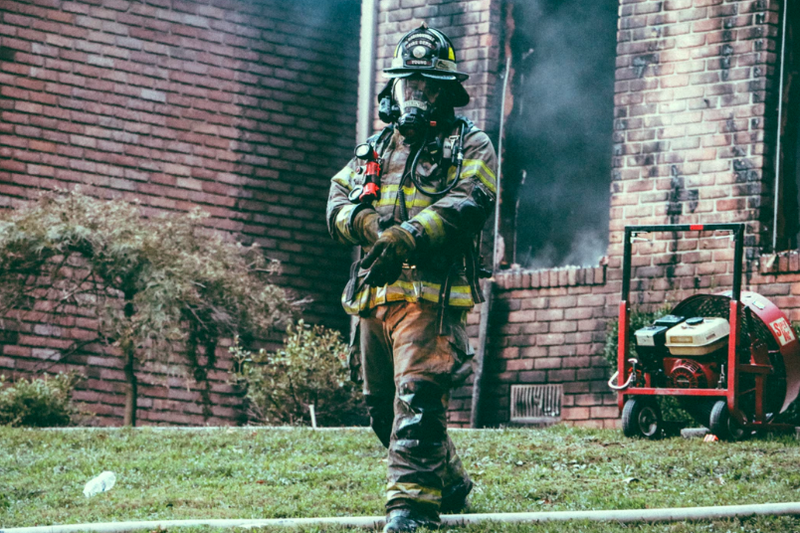 You can expect to pursue opportunities at the U.S. Fire Administration, local fire stations or even conducting fire prevention research at the U.S. Fish and Wildlife Service. Smokey the bear wants you to join in on the effort to prevent forest fires. The inspection crew travels around to find ways that fires might be prevented across millions of acres of beautiful forest. Many fire science programs offer EMT certifications as a part of the curriculum. If you feel more compelled to save people from medical emergencies instead of fires, then by all means go be a hero. By extension of keeping the public safe from dangerous fires, we still need people to find out new ways to prevent them. Work with media and outreach teams to inform the public of ways they can prevent fires before they become hazardous. The fact that some people think it’s funny to intentionally start deadly fires is completely beyond me. But I’m happy there are people who investigate arson and give the offenders their due justice. Do you see yourself as a leader? If so, you might want to consider studying fire science to one day become a fire chief. This is perhaps one of the most fearless jobs out there. You’ll lead your battalion on dangerous missions to save people from deadly building fires. “There is a ton of work that goes into this, but if your ultimate goal is to lead and help people, then this field is the right place,” Purdue alumni Jonathan Alley said. “Students love learning from professors who have thrown themselves into the danger to save lives,” said Bennett.